The fans picked Uncharted: Golden Abyss as their Vita Game of the Year but it seems the editors over on the blog went for something different. 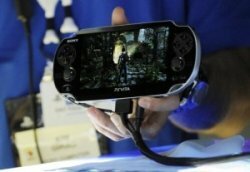 The PlayStation Vita celebrated its first birthday recently and the console has been a mixed bag for many. There are a section of gamers who are extremely pleased with the console while others have been let down at the same time. The main issue with the Vita seems to the lack of standout titles or titles which define the console rather than the popular franchises making their way onto the Vita with a few of the console’s features thrown in. On the sales front, Sony has admitted that the figures could have been better but instead of reducing the price the plan seems to be to improve the library of games on offer, a strategy that has worked but not on a consistent enough basis. On the fans side the Gold, Silver and Bronze Trophies went to Persona 4 Golden, Gravity Rush and Assassin’s Creed 3: Liberation respectively. 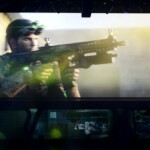 There was little love for Black Ops: Declassified which has been slated by gamers and critics alike. The game was developed by the same studio that worked on the Resistance title for the Vita, Burning Skies, and their earlier project, although forgettable, was a much better one than their latest. But what was your Vita Game of the Year? Let us know in the comments section below.